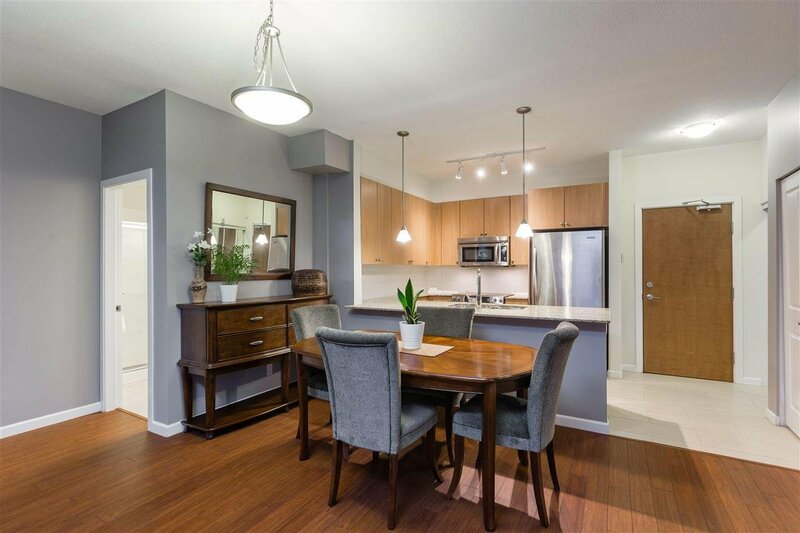 Welcome to THE GROVE at VICTORIA HILL. 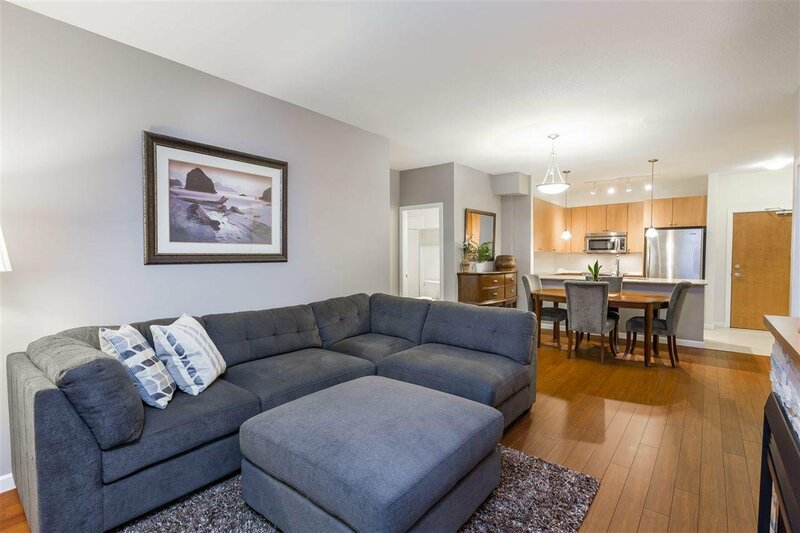 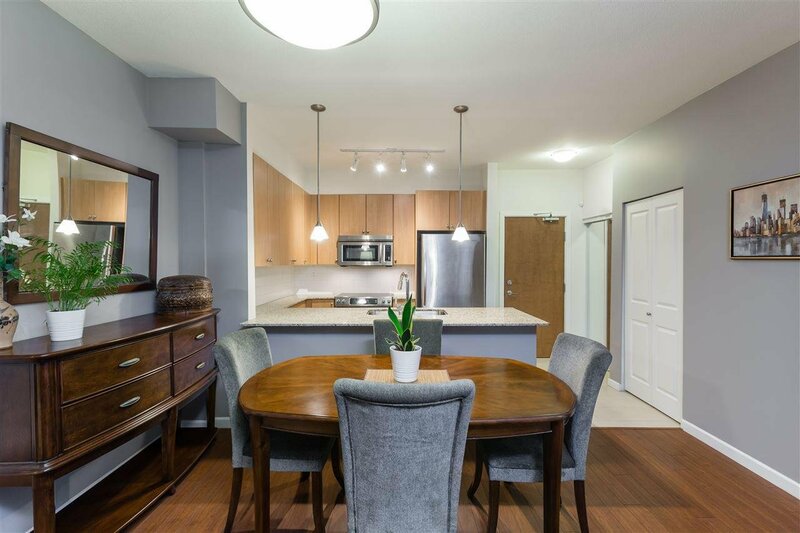 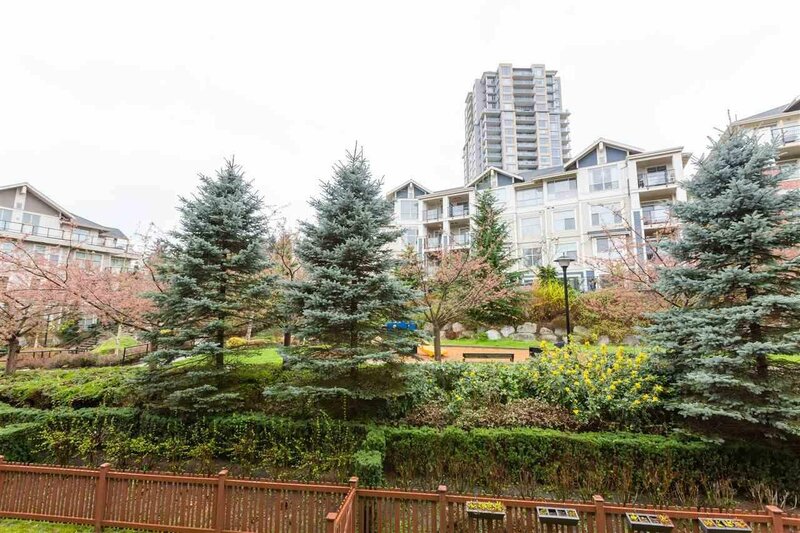 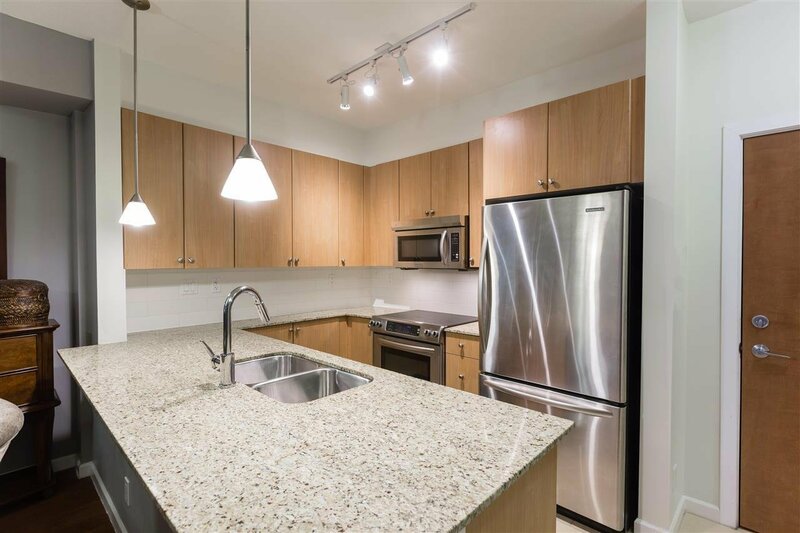 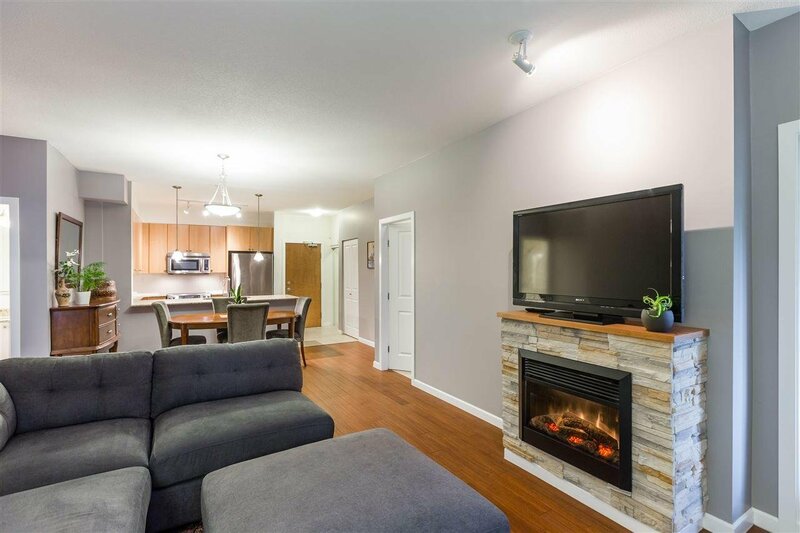 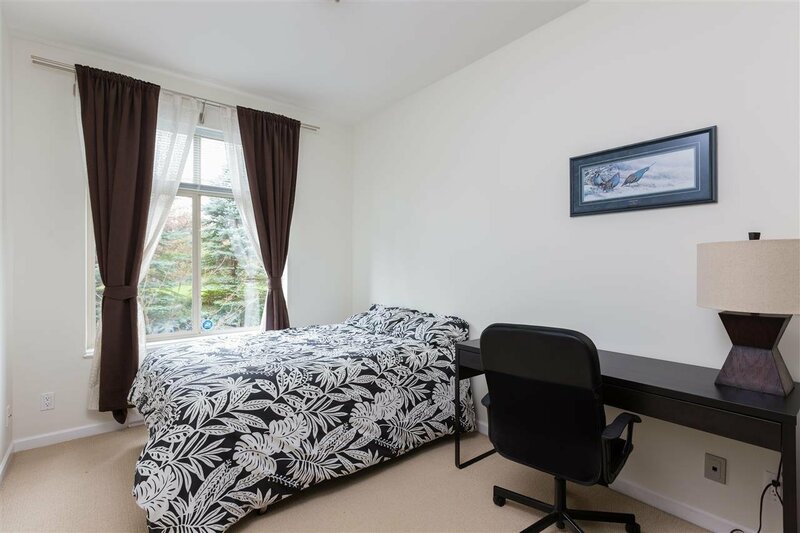 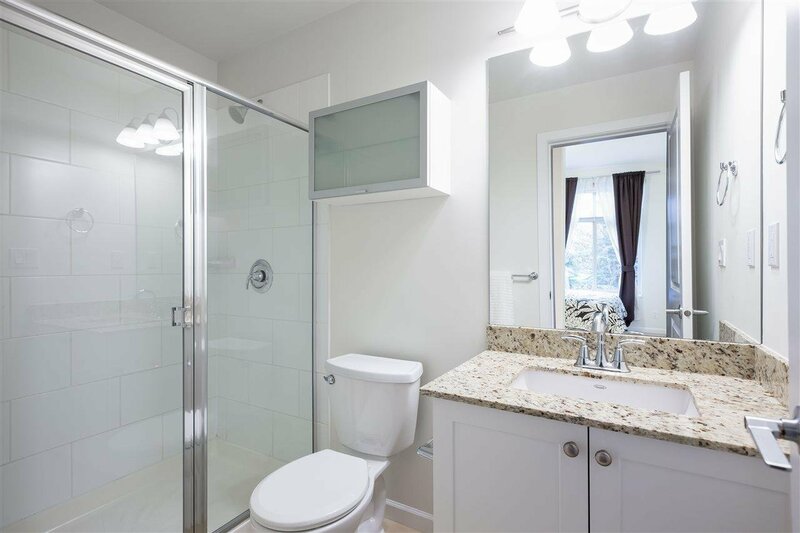 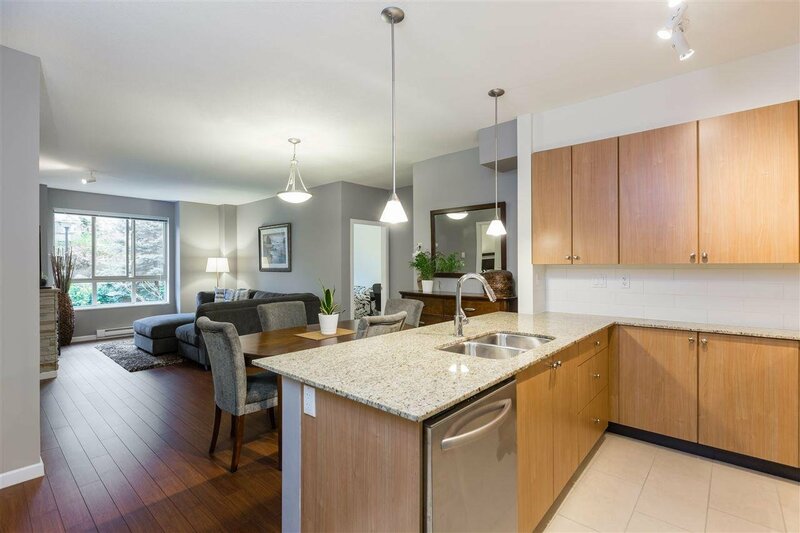 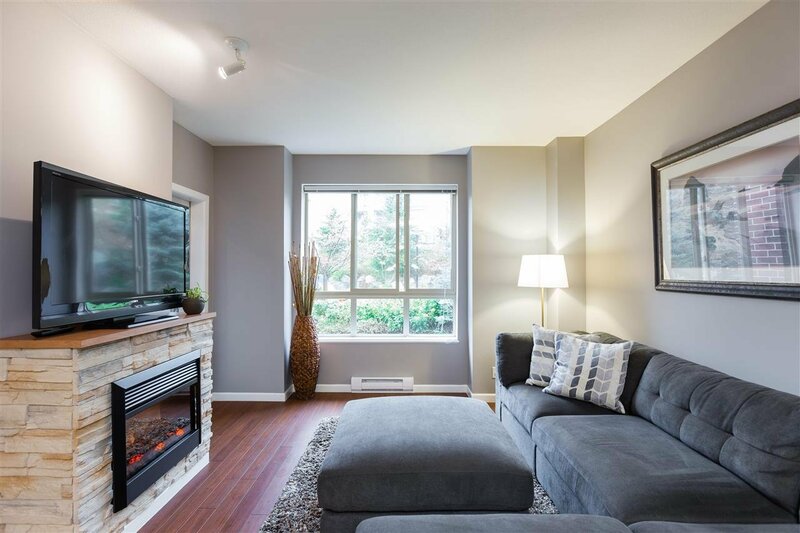 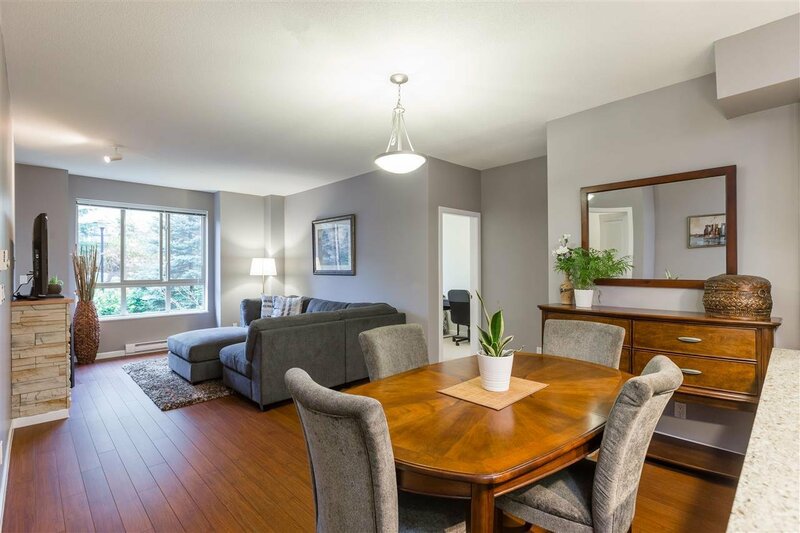 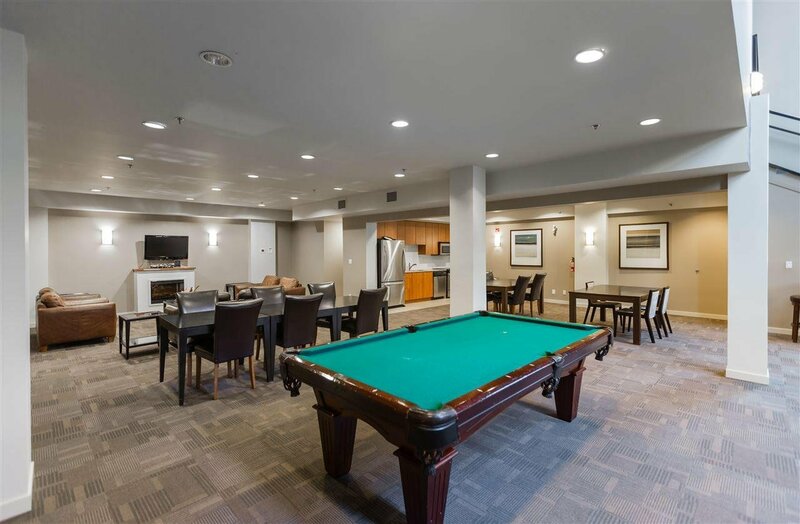 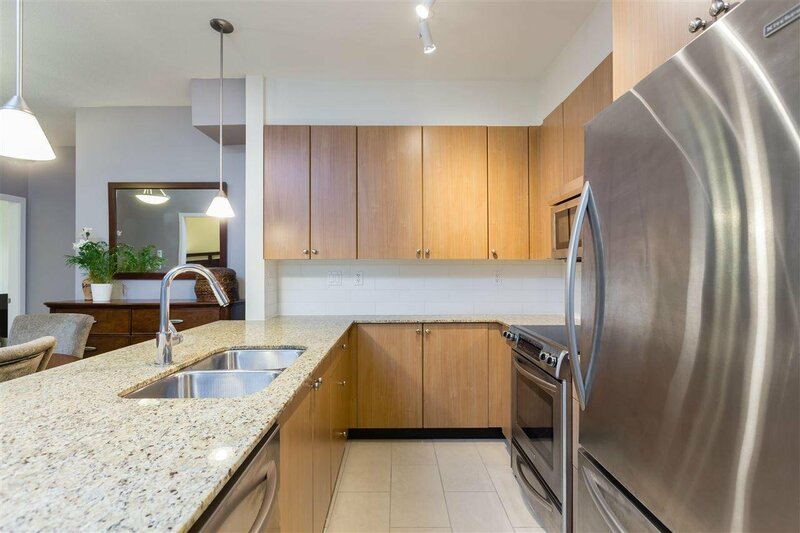 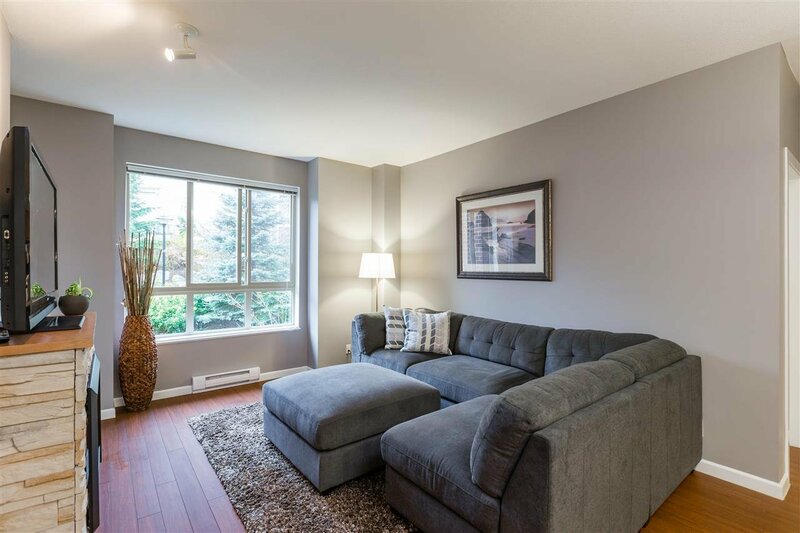 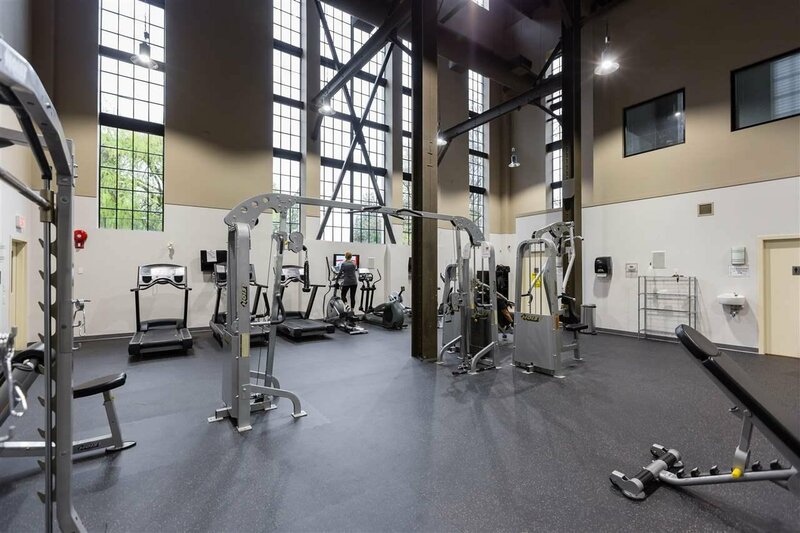 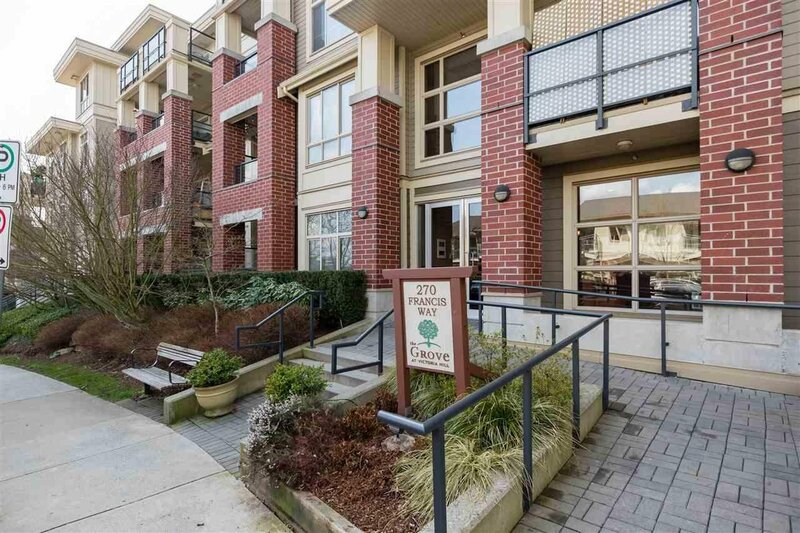 This well maintained open concept 2 Bedroom 2 Bathroom condo features a living room with large, bright west facing windows and a cozy fireplace, connected to the dining room and a kitchen with ample storage, equipped with Stainless Steel appliances and granite counter-tops. 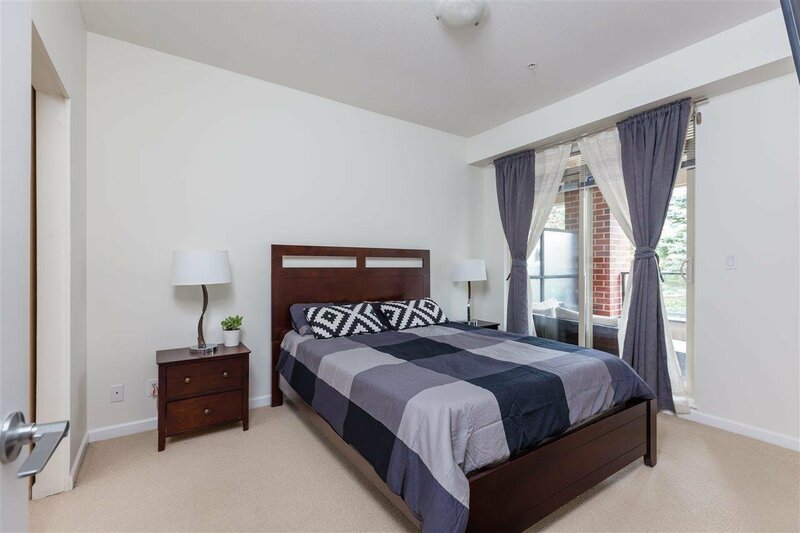 Bedrooms are separated, the Master Bedroom has a walk-through closet leading to the Ensuite and the 2nd Bedroom has a large walk-in closet. 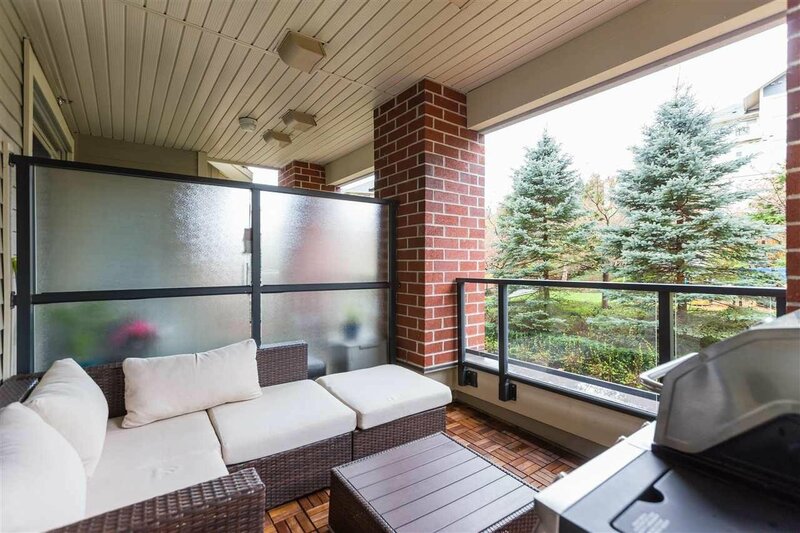 Enjoy the covered balcony facing onto a greenbelt and park space. 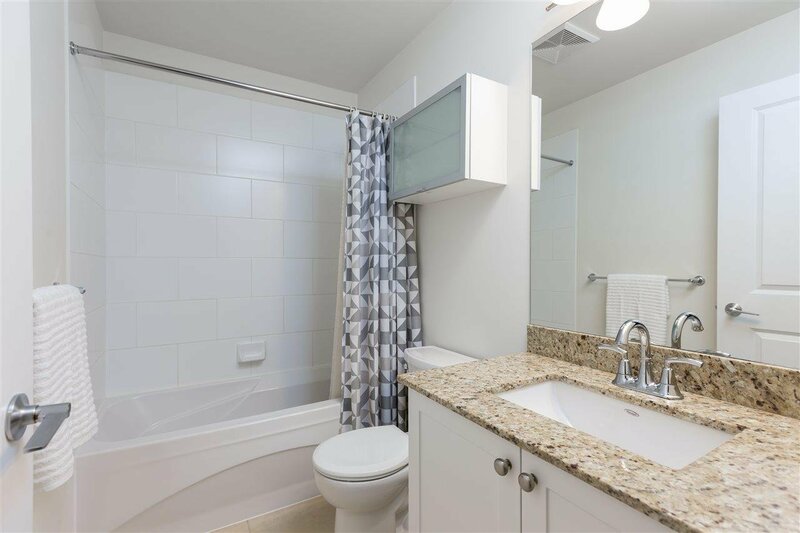 1 Parking Stall included in this Rental Friendly (6 month min.) 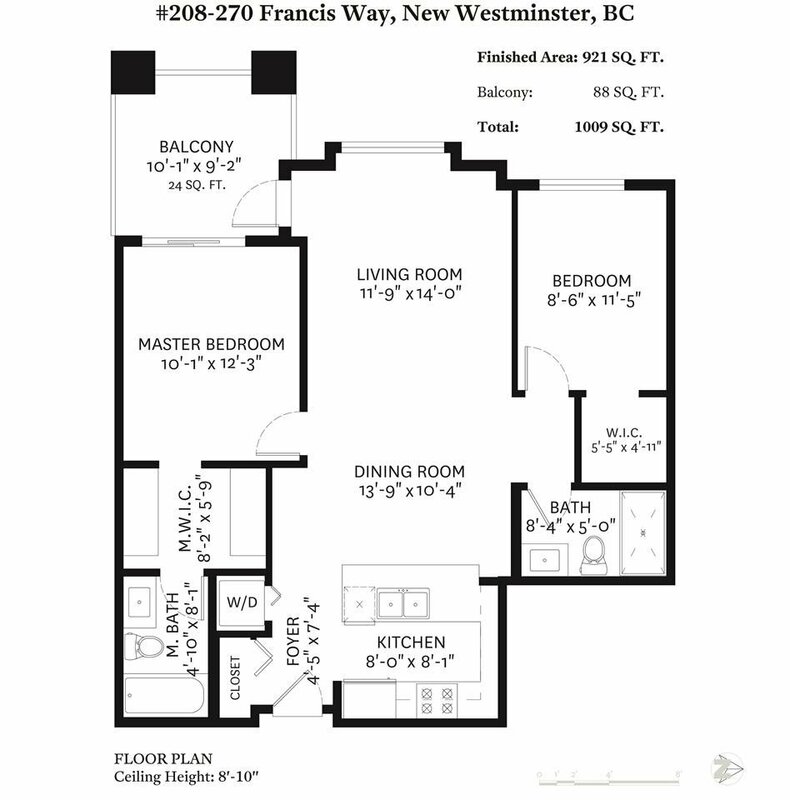 building with 1 Pet Allowed (Cat or Dog).